Sorry... the 2016 BMW 428 is no longer being sold as new. 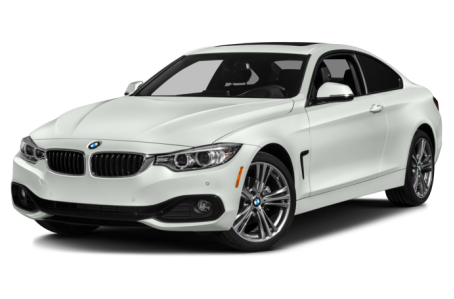 Back with more standard features and the same flawless driving dynamics is the 2016 BMW 428. The 428 is part of the 4-Series, which broke off from the 3-Series a few years ago and is home to BMW’s two-door compart sports car offerings. Of course there are now four-door versions of the 428 available called the 428 Gran Coupe, which is covered separately on this website. For 2016, the 428 adds more standard features from what was previously offered as the “Sport Line” package, including 18-inch wheels, an alarm system, high-gloss exterior trim elements, sport seats, and a sport leather steering wheel. There are two available body styles: coupe and convertible. Styling is classic BMW, with the kidney grille leading the way up front and nicely sculpted body details running up and down the sides of the 428. Power folding, heated side mirrors, xenon headlights with auto-leveling and Corona rings, and fog lights are standard. What’s under the hood will be familiar; BMW uses this engine up and down much of its lineup. The turbocharged 2.0-liter four-cylinder makes 240-hp and 255 pounds-feet of torque, and is mated to an eight-speed automatic transmission. A six-speed manual is also offered as a no cost option, for those who prefer to row their own gears. Inside, the interior mixes luxury materials and a sporty design. Standard features include power front seats, dual-zone automatic climate control, Bluetooth connectivity, USB port, iDrive infotainment, and push button start. Also available as a standalone option or part of an options package are heated front seats, heated steering wheel, navigation, a head-up display, and a Harman Kardon premium stereo. Standard safety features include front, side-impact, and front knee airbags, antilock brakes, electronic stability control, and BMW Assist emergency communications with a 10-year subscription. Coupe models also get side curtain airbags. The 2016 428 also has plenty of available safety technology and driver aids, like side, top-view, and rearview cameras, lane departure warnings, front and rear parking sensors, and adaptive cruise control.